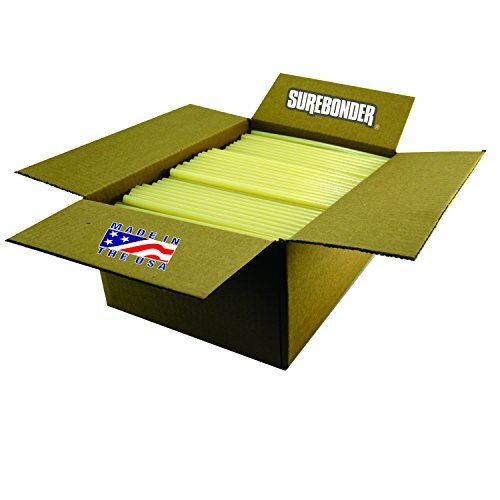 Surebonder 25 Lb. Box (450 Sticks) High Temperature, Fast Set-Packaging Standard Glue Sticks Light Amber Color. Ideal for packaging and/or sealing medium to larger cartons, paper, crafts. This adhesive has an excellent hot tack for fast and strong bond. Will bond to most porous materials including wood. Standard size 7/16" x 10" Length. Use with standard size glue guns. Made in the USA.